Shares in West Africa-focused Stellar Diamonds (LON:STEL) were up more than 7% Friday after the company announced it had signed a tribute mining and revenue share agreement with junior Octea Mining for the Tongo-Tonguma diamond project in eastern Sierra Leone. The deal, which will allow for mining the combined and contiguous Tongo and Tonguma concessions, creates one of the largest diamond mines in West Africa. 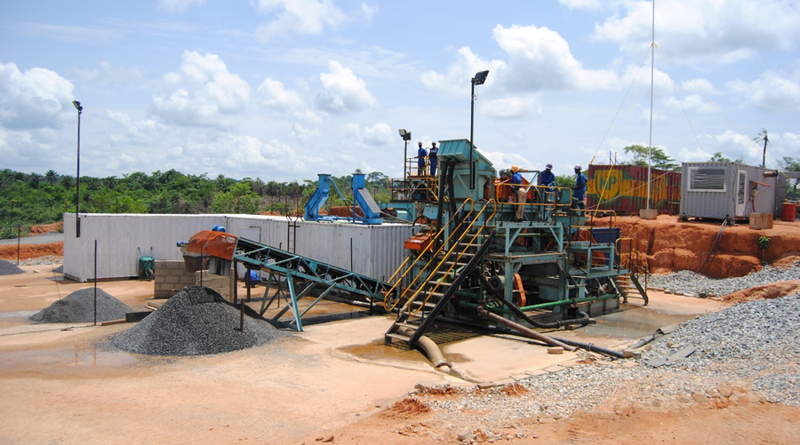 The deal creates one of the largest diamond mines in West Africa. “These agreements with Octea . . . will allow Stellar to build a single mine for the simultaneous commercial production from the contiguous Tongo and Tonguma kimberlite deposits,” Stellar CEO Karl Smithson said in the statement. Capital expenditure development at the mines is estimated at $32 million in the first two years, Stellar said, adding that the combined project has projected 21-year mine life, producing over 4.5 million carats, with full production to generate $45 million in gross revenue a year. Octea will continue to hold the Tonguma mining licence and Stellar will continue to own its adjacent Tongo licence and subsidiary company Sierra Diamonds. Stellar will also have ownership over certain infrastructure and capital items procured for and used at the mine development on both licences. After spiking in early trading on the news, the company's stock was slightly lower, but still up 3.9% to 5.32 pence at 3:03PM GMT.